I should be sleeping now, and I was tired when I went to bed. My brain wouldn’t let me sleep. It was creating sentences that wasn’t sentences, but they want to exist in this world. So here I sit, with the computer on when I should be sleeping and I’m constructing sentences instead. It’s like I’m becoming an addict – just to something that has no narcotic effects at all. I need to write. I’m unable to sleep because I haven’t written something all day. How many times have I been unable to sleep because I’m angry at something or someone? The situation just plays out in my head again and again, and the emotions play along. It’s impossible to fall asleep when your angry and the adrenaline is raking through the body. I create sentences of the wrongdoings and I’m so wonderfully righteous. Like I would never act badly or say hurtful things. But there is no adrenaline in my body now, only a need to write. Anything, it doesn’t even have to make sense as long as I’m writing. I don’t have to work through the sentences and try to make them better, just get the words out. Who cares about content? Not my head. C-section, colic, milk allergy, chronic gallstones, gallbladder operation. This happened all in two months. After the gallbladder operation I had one week where things started to get normal, then Espen got a really bad dental infection (a small operation was performed on him). It was too soon after everything that had happened, so I was back to breaking down again. Christmas came and during christmas I got some help with Simon and got to relax a little bit even though it’s not the same as being home. When we finally came home we had one week of normality before Espen had an eye operation. Really, I’m not kidding you. In between four months both me and Espen has had two surgeries each, colic, milk allergy and christmas. What does it mean to break down? I wondered about that because I really wanted to. I have probably cried more these four months than I have in my whole life. When I called The Norwegian Health Economics Administration (HELFO) in the beginning of January and found out that the hospital hadn’t sent papers for coverage of Simons milk allergy prescription I broke down crying for thirty minutes. As I was crying I knew that what had happened didn’t matter at all. The money we had spent would be repayed, it was only a matter of asking the hospital to send the correct forms (again). But it was one more thing that was going wrong – and everything was going wrong. All the time. During these four months I have only had two weeks of normality, and that is nowhere enough to be okay again. During those two weeks I felt great, but something would happen that get me off balance again. It’s like I’ve been climbing a steep hill that never ends. And here I sit with a great need to sleep, but I’m wide awake because I need to write. 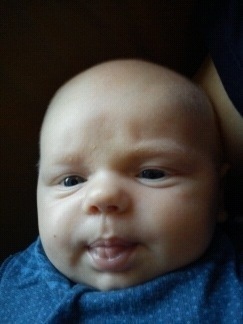 Espen is in recovery from the eye surgery, and we are into the one week where things are getting normal again. I’m wondering what will happen next. Will I only get one week of normality again, or is the cycle broken now? What does it really mean to break down? I have cried a lot, but I don’t understand how one breaks down. Because no matter how much happens, I deal with it. I have known people who for some reason have been unable to let go of the past, but whatever has happened it’s over but they keep on going about it in their heads. They relive it many times a day, but it’s all in their heads. For me the mental part is over. It’s my body that somehow are still exhausted, but at the same time I’m not. I need a lot of rest for the moment, so I stay at home and read a lot. I usually need a lot of impulses and activities to be satisfied, but now I have moved in the other direction. I take as much rest as I can at home with Simon. I should be utterly exhausted, but I have energy for what I need to do and more. I’m fine, even happy. And now my head is calm. Good night, sweet dreams! Vi har vel alle hørt klisjeen om at når kvinner får barn, så går alle tanker og energi til den nye babyen i huset. Plutselig så følger man med på de underligste og lite delikate ting som fargen på avføringen til babyen, hvordan kvitte seg med snørr, feber og utslett. I barselsgruppen så er 90% av samtalen knyttet til babyen, og jeg begynner å lure på om disse jentene har andre interesser. Vi presset vel ikke vekk interesser, venner og hobbyer når vi fødte? Eller… basert på samtalene i barselsgruppen så skulle jeg nesten tro det. Det var en dag jeg spurte barselsgruppen om de hadde noen interesser utenom barna. Det ble helt stille i flere sekunder. Så sier den ene kvinnen: Ikke se på meg. Jeg har tre barn. Men jeg nekter å bli kjedelig. Jeg vil ikke være en av de som kun snakker om barn fordi jeg har en baby i huset. På tross av det så tenker jeg for det meste på babyting. Det er så mye som må ordnes, tenner som kommer og hva som finnes av lindring, hva slags mat jeg kan gi ungen når han begynner å vise interesse for noe annet enn melk, og ikke minst hva som er normalt at ungen skal sove om natten. Men hva har jeg gjort for å ta vare på mine interesser? Og hva var mine interesser igjen? Jeg husker ikke, men jeg har lyst til å begynne å trene selv om jeg ikke gjorde det før jeg ble gravid en gang. Jeg abonnerer på flere blader, og skal jeg få med meg hva de inneholder så må jeg notere det ned. Jeg har derimot lest alle artikler jeg kommer over om Lysbakkens meninger om amming, barselsgrupper og pappapermisjon. Før jeg ble gravid, så ville ikke disse temaene ha blitt registrert i hjernebarken en gang. Før jeg fikk baby hadde jeg ikke tid til tv-programmer som gikk på dagtid. Nå kan jeg godt diskutere Dr. Phil med deg, og jeg vil legge følelser i diskusjonen. Jeg må innrømme det, jeg har blitt en kjedeligere person. Jeg har ikke energi til å gjøre så mye med det heller. I have no idea how to make a relationship works for years and years. Nowadays I notice whenever marriages ends after about twenty years – let me say it again, twenty years. That’s a long time – an eternity. That’s a person that you know inside and out – at least for many years and is the most intimate person in your life. You have spend many hours together, every day, for years. Gone on vacations, visited families, have joint friends. You have been bored together, probably raised a couple of kids and endured the strain kids are. Survived countless arguments, sickness and each others less appetizing qualities. You have navigated each others needs, the kids needs and problems, may be even fallen in love with somebody else once or twice and/or somehow endured cheating from one or both sides. I can only assume that that the marriage slowly over time breaks down unless it suddenly ends with some event triggering it like cheating. I’m more interested in the part where the marriage degrade over time. We are talking about a person that you decide you don’t want in your life anymore, after about twenty years. Slowly you become strangers even though there are twenty years of memories and cherished times together. I’m trying to convey a feeling here – of how it is to have such a person in your life for so long, and then it ends. I’m not able to wrap my head around it, but at the same time I understand it a little bit. I know how it is when a relationship over time becomes friendship and nothing more. Then one want to keep having that person in ones life, just not as a life partner. But twenty years is a long time, and there has to have been something more there. There are countless articles about how to make a relationship work, but usually they are superficial and only touch the surface. When I found the found the article Who Are The “Keepers?” The Behaviors of Successful Long-Term Partners, I knew that finally the answer was there. The author, Randi Gunther, focuses on 15 traits these people have. Let’s not kid our selves, relationship is hard – and easy at the same time. We have to work on ourselves and with the other partner all the time. I asked my boyfriend what he thought would break a relationship over time. His answer was all the compromises one had to make every day and you do it even without thinking. My answer was that the romance/magic would disappear over time, one stopped going out on dates and do something special with your partner even if it is going out for coffee and reading newspapers together. You stopped working on the relationship itself and improve it. Most likely both are right and are aspects of the truth. The great thing about this article is that most likely the traits listed helps one in dealing with the compromises without one partner getting the brunt over a long time period. The people have qualities that let them keep the magic in the relationships they have. That doesn’t mean they don’t have to work on it and that it comes effortlessly. It just means that they deal with whatever comes up. But if only one part of the relationship are a keeper, then there’s a problem. A keeper will know when it’s time to leave. Anybody who has watched some episodes of Dr. Phil will have noticed one thing. He always say that you aren’t ready to leave a relationship if you have any unresolved feelings. 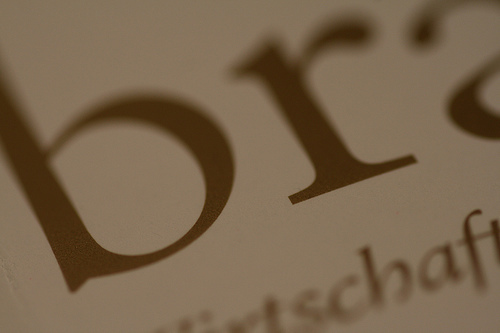 Branding doesn’t seem to be a term publishing houses are aware of, but they should be. Walking into a book store today you see a lot of merchandise that isn’t connected to books, and one can question whether bookstores as they are today will survive, especially when we see a big bookstore chain like Borders files for bankruptcy. In Norway most bookstores are owned by publishing houses and they are slowly moving towards publishing books as ebooks. So what has publishing to do with branding? So far publishing houses has focused on the physical product that they deliver – the book. They have an untapped market – which is to provide a service connected to the books they sell. Branding the authors themselves, create forums to discuss the books, let the authors have blogs, facebook fan pages and interact with their fans.By offering their authors and readers these services, they create a multitude of marketing options for themselves. They can easily create excitement about new projects for the readers and make them aware of books that can be of interest of them (within the same genre). They should learn a thing or two from the film industry where they create games and merchandise based upon best selling movies and books. Publishers can create merchandise like t-shirts, mugs and pens connected to bestselling books and sell it within bookstores they own or not. If not the publishing houses do it, at least the authors themselves should look upon themselves as a brand. J.K. Rowling is onto something with the pottermore site when it’s available to the public. I have no access to the beta trials, but what I have heard is that pottermore is like a game where you play into the different chapters of the books. You get selected into a Hogwarts house based upon questions you have answered and have to find a wand that matches your personality. There’s not many authors that has as much success as Rowling and one certainly don’t have to make things as elaborate as described above. Creating a website about the author and a forum will go a long way. Look at one of my favorite authors: Brandon Sanderson. He has an official site, and even though I think the site itself is horrible, it’s there and I usually find what I’m looking for. On the left side you can see what he is working on and how far he is along. I love that I now see that he has Stormlight 2 up on his board even though he hasn’t started. I’m a fan of his facebook fan page and I like that I know he recently was on a Mythbuster show. I like Mythbuster too. I used to follow the podcast Writing Excuses where he and some other folks talk about how to write books. Now this is a guy after my own heart where he have multiple interests and projects at the same time. That’s exactly the wisdom I would loved if the publishing houses had caught a sniff of. The readers want to know more of the books, the world the books are in, the authors and what shows they like and why. Readers want to buy t-shirts that only insiders/readers of the same books understand. Do I think publishers will understand this? No, but the authors are already moving past them. Jeg har vært vegetarianer i 17 år nå. Jeg er glad i god mat, men jeg er ikke så glad i å lage mat. Det er et vanskelig dillemma for jeg blir jo sulten, men har for det meste lite lyst eller ork til å bruke hjerneceller på hva jeg skal lage til middag, hva jeg trenger av ingredienser og ikke minst hvor mye planlegging som kreves. Akkurat den siste er kritisk for meg. Jeg har en haug med veggis kokebøker, og jeg leter etter inspirasjon et par ganger i måneden. Hver gang jeg finner en oppskrift så er det ofte med rare måleenheter. Det var ikke før omtrent et år siden (av en alder på 33) jeg skjønte at måleenheten cups er å finne på målebegre. Det burde gi en anelse om hvor lite engasjert jeg er på kjøkkenet. Men jeg er veldig glad i mat, altså..
Så var det den hersens ingredienslista med krydre jeg aldri har hørt om før, forunderlige ingredienser som krever en tur innom innvandrerbutikk og nitidig gransking av hylle etter hylle for å se om de har akkurat det jeg er på jakt etter som jeg ikke helt vet hva er. 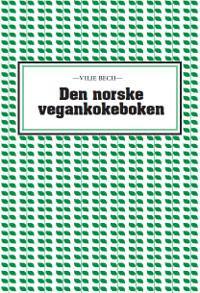 Når jeg hørte om Den norske vegankokeboken (DNV), så tenkte jeg at dette var vel atter en kokebok med vanskelige ingredienser og hvor matlagingsinteresse er påkrevd for å knekke koden. Det tok endel dager, men tilslutt så tenkte jeg at det var vel ingen skade i om enda en kokebok sto i bokhyllen og støvet litt. Den ville i det minste ha oppskrifter med “rett” målenhet. Boken lå i postkassen og ventet på meg når jeg kom hjem etter nyttår (kjapt levert! ), og i min sedvanlige nysgjerrighet så begynte jeg å bla igjennom boken før leiligheten hadde nærmet seg romtemperatur igjen og kofferten var åpnet. Det første som slo meg var bilder, åh så lekre bilder til omtrent alle oppskriftene. Å se den gode maten med sunnheten lysende mot meg gjorde godt i mitt gamle veggishjerte. Dermed begynte granskingen av oppskriftene, og det var nå skatten virkelig kom frem. I svært mange oppskrifter så trenger du bare en tur til Rimi for å kjøpe det du trenger. Det er omtrent bare ingredienser som er enkle å få tak i, og som jeg har hørt om før. Et lite tips før du har boken i hånden: Kjøp inn tofu og ha et lite lager i frysen. Og om du er som meg og har prøvd å fryse tofu og resultatet etterpå var mindre heldig: Boken forklarer hvordan du skal behandle tofu. Jeg kan visst behandle tofu på mange måter har jeg nå lært. Det tok bare 17 år å finne ut av det. I denne boken er det praktiske og enkle tips som enhver kan finne nyttig. Jeg har fått nok av luftige “forslag” som at man bare kan prøve ut nye grønnsaker fra den lokale innvandrersjappa. Jeg har ikke fantasi til å vite hva jeg skal gjøre med nye grønnsaker unntatt å la de få gro i kjøleskapet og lage sitt eget økosystem. DNV forteller om vegetariske tacokrydder med veggis mince(kjøttdeig) som man kan få kjøpt i enkelte butikker, spesifikke krydre, sauser etc. som jeg har hørt om før og vet hvor jeg kan finne. Du finner luftige forslag ala “prøv gjerne andre krydre for variasjon” i denne boken også, men da har det blitt gitt et håndfast forslag først. Så til min synd… egg. Jeg spiser egg imot min egen vilje. Jeg har gitt opp egg over lengre tid flere ganger, men så er det alltid noe som hanker meg inn igjen. Som oftest kaker, jeg er glad i det. DNV har mange kakeoppskrifter uten egg inkludert mine favoritter: vafler og eplekake. Det er en oppskrift på sjokoladekake der også. Jeg har ikke prøvd å lage den, men når jeg ser på bildet så ser det ut til å være voksen versjonen av sjokoladekake. Jeg elsker barnebursdag sjokoladekaker, og jeg ønsker så sårt en eggfri oppskrift på det. Jeg prøvde meg på curry ris oppskriften i boken. Det var forunderlig å ha epler i en risrett, og det var ikke helt min greie. I tillegg var ikke salt inkludert i oppskriften, så jeg endte opp med et lag “allaround” krydder. Jeg lærte enda en ting. Første gangen skal jeg lage oppskriften slik boken sier, for det er veldig nyttig. Neste gang skal jeg tilpasse den slik jeg liker det best – ikke nødvendigvis med krydder, men med andre grønnsaker. For maten var god, men jeg vet hvordan jeg vil like den enda bedre. Ikke at det er første gang jeg har gjort det, men det er første gang resultatet ble så bra ved første forsøk. Og det er kanskje første (tredje) gang jeg faktisk fulgte en oppskrift til punkt og prikke. Ved oppskriftene så er det angitt ca. hvor lang tid det tar å lage retten. Det stemte ganske bra med meg, bare legg på en ekstra 10 minutter for TTT – ting tar tid. Boken har et eget kapittel for pålegg, lunsj og frokost – et område hvor jeg er grundig lei av brødskiver med ost på. DNV har egne guider for seitan og burgere. Flott! Som en konklusjon på det hele så er det beste med boken at 98% av ingrediensene kan du finne på Rimi og guidene er fine å ha. Denne boken tar for seg fundamentet ved matlaging og gir mange tips som har gjort meg klokere rundt matlaging og gir meg kunnskap jeg kan bruke utenfor boken og dens oppskrifter. Oppskriftene er enkle, og det tar meg bare noen minutter å finne oppskrifter jeg kan lage. Og for meg så er dette faktisk en liten revolusjon. Takk! Jeg trengte det sårt. Pregnancy (nausea, hunger, back pains, heartburns, walking pain, exhaustion, huge), gallstones, Simon, cholic, milk allergy, extreme sleep deprivation, gallstones, exhaustion. I’m happy that year is over. I come across things on the internet that are beautiful and I want to share, so here’s some catch I’ve found these past few days. A video that shows the beauty of our world, a happy christmas article and a video shot in different framerates. David Attenborough – Wonderful World. I have been wanting Kindle DX since spring this year which is a long time. I expected a release of new Kindles this fall, and lo and behold, Kindle 4 and Kindle Fire was released as I expected. I was surprised when Kindle DX, the gadget I really wanted wasn’t part of the upgrade and I wondered what the future for this device would be. Since then a lot of forum threads have been about the future of Kindle DX, especially when it was offered with a 120$ reduction in price at Black Friday. Suddenly Kindle DX was offered in a nice price range, and I started to question wether to buy it or not. For several days I went back and forth, one moment deciding to buy it and two minutes later decide to wait on the decision a little bit longer. I googled and read every thread I found about Kindle DX and this nice sell. In the end I decided to save my bucks for now. I have no statistics to lean on, and Amazon reveals only what they want on how many devices they sell. What I have is my impressions. 98% of the people with a Kindle DX loves it, it’s their favorite gadget and over 80% use it every day. 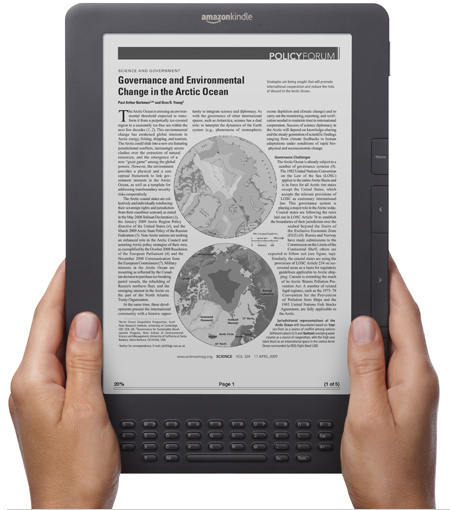 Dedicated e-readers are a niche market, and such a large screen is even more of a niche. 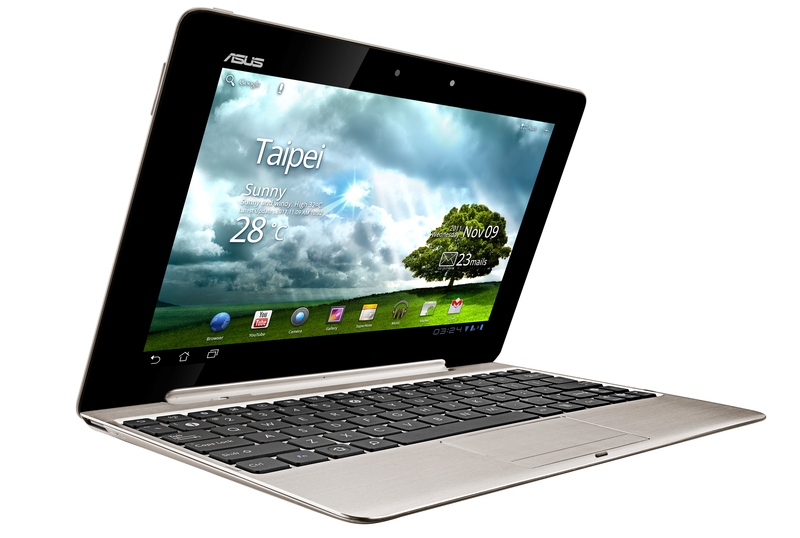 Most people use it for two things, read ebooks and their own pdf’s and the 9.7 ” screen is the big selling point. Did I say they were in love with the DX? The firmware hasn’t been upgraded since May 2010. The DX isn’t even on the front page on Amazon. To find the DX in the store you have to know it’s there – by looking at the comparison matrix. The DX has received no love, and since most think of it as such a niche market they conclude that it will be discontinued. If you look at DX as a separate product you are probably right. My take is that the question whether or not the DX will be discontinued doesn’t matter. Currently the dedicated e-readers (kindles) are all 6 inches, which is very small. The Kindles are differentiated by using buttons as interactions, touch screen or a keyboard. There are already rumors about Kindle Fire will be offered with a larger screen, and I think this will happen with the e-readers as well. Screen size will be another choice available on Kindle. The question is what screen sizes will Amazon offer. I think Kindle Fire and new Kindles will be offered up for sale in summer or fall of 2012 even though there are no rumors around to support my claim. I will purchase the largest e-reader screen that are at least 8 inches. The first e-reader with color has arrived by Hanvon, but it’s probably to early for Amazon to adopt it. I would have loved it, though. As Christmas is getting closer every day, I’m finding funny christmas trees to put me in the good mood. Or what about a Grolsch beer bottle tree? On Monday I had a pre-examination before the operation to remove the gallbladder and I had a bad cold. I had read almost everything I came over about the operation, so I knew that if I had a cold they would postpone the operation. There was no way in hell I could deal with that. 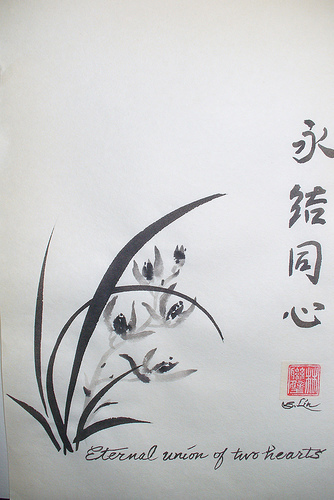 I had called the hospital to get my operation prioritized, and I got the operation date on the phone – 30th November. At first I was whopping happy because I finally had a date. Then it hit me – it was 20 nights before the operation. The gallstone attacks always comes at nighttime, so I started counting the nights – not days. That meant I would have 10 attacks before the operation. 10 nights of no sleep and hell. I called my doctor the next day and got a new painkiller prescription. Normally I would have done everything I could to hide my cold, but I couldn’t hide that I had lost my voice. I sounded like a pubertal boy whenever I didn’t whisper, so it didn’t take long before the nurse asked “Do you have a cold?” Lying wouldn’t have gotten me anywhere, my voice would betray me. She said that they didn’t operate when the patient had a cold. It was too dangerous. I started crying and said that I had to have that operation. The gallstones were affecting everything. I have slept between 2 – 4 hours a night for three months now and I am toast. I am taking care of a baby and I am exhausted. I am only eating one meal a day, and I was unable to take care of myself. To even manage to get one meal into myself was difficult. She brought in the anesthesiologist to look at me. She listened to my lungs and said that I had a bad cold and wouldn’t operate as I was now. They were afraid that during anesthesia I would stop breathing, especially if I was coughing. I continued crying stating that I had to have this operation. Then she said that it wasn’t Wednesday yet (the day of the operation) and I could go home and do everything to get better. She wanted to at least give me a little glimmer of hope. I took it. They wrote down something in their papers about me having a cold. I went out of that appointment and ready to drink a lot of warm water and google everything I could about getting rid of this cold. Tuesday came and I was even worse. My coughing was running rampant, and I got a tip from a former coworker of mine (Thanks Cirstyn!) about Noskapin that is great for dry coughing. I got my boyfrind to buy it and it helped, but my mood was getting really low. There was no chance in hell I would get this operation. I tried calling the hospital to let them know that there was no point in coming in for the operation, but nobody answered the phone. I continued drinking a lot of warm water, taking noskapin and when the morning of the operation day came I noticed that I was very good. I wasn’t coughing! My nose had no mucus. I was so happy, except that I still had no voice. I still sounded like a pubertal boy when speaking, and preferred to whisper. I walked to the hospital taking deep breaths in the hopes that it would clear my lungs so much that they would operate me. I didn’t talk so that my voice might hold a little bit. When I came to the hospital my days of small coughing was over, and I would only clear my nose very carefully, I didn’t want any nurses to notice it. A nurse finally asked for me and pointed me to a bed and gave me hospital clothes to wear. I nodded a lot to what she said, and tried to speak as little as possible. I saw she was holding the paper where it stated I had a cold. I got the clothes on me, and a lot was happening. She was asking me many questions and I tried to answer with my best voice. If I needed to cough I did it while there was nobody around, and as subdued as possible. 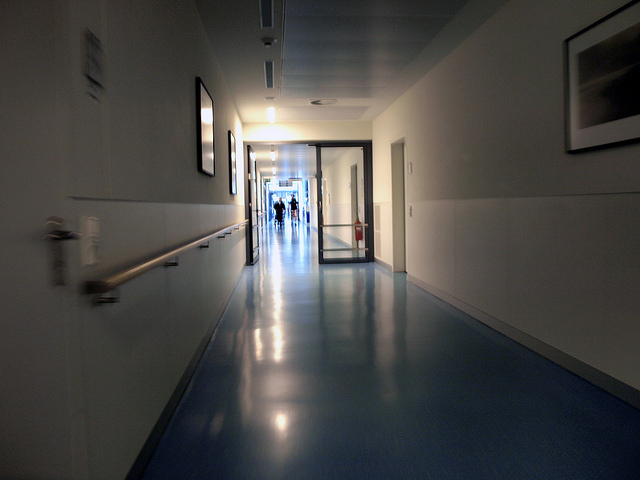 The minutes passed and I was waiting for the doctor to come and check on my cold, stating that they wouldn’t operate. The nurse put something on my hand and attached dripping liquid into it since I hadn’t been allowed to drink for two hours. They still didn’t ask about my cold. It took 45 minutes of making me ready, and I was just waiting for the ax to drop. When the nurse told me to get up and walk to the operation room I knew I had made it. They never asked about my cold. A doctor didn’t come to check up on it. I don’t know if it was because I wasn’t coughing while I was there, or that it didn’t really matter that much. I never asked because I didn’t want to ruin it. The operation took one hour. I didn’t have any sense of time of the operation or anything. The only reason I know is because I read my papers before I left. They were just lying next to my bed, and I was curious. Everything went fine and when I got out of it, I got a small plastic box with my gallstones in it. Three of them and they had the size of large peas. They were big! That was my first reaction. No wonder I had a lot of pain when they tried to get out. 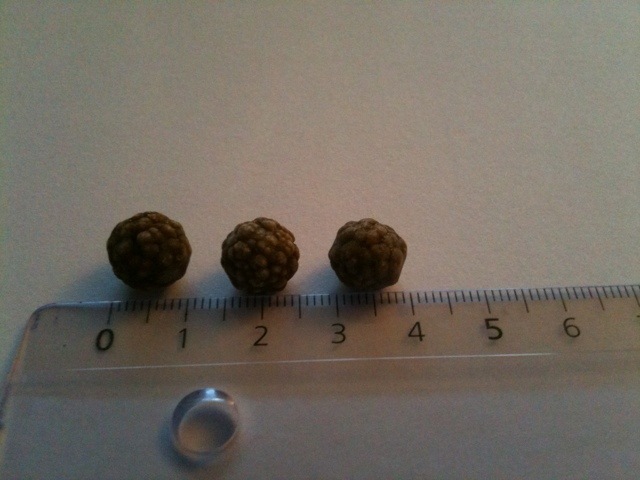 One of the gallstones has the size of almost 1 cm. That’s a lot! I can’t believe I had those in my body. Before I left I talked to a woman next to me. I knew she had removed her gallbladder as well, so I just had to see how her gallstones looked like. She only had one stone, but it was a little bigger than mine. When I say a little bigger, then that is actually a lot considering they try to go out of the body. After the operation I was so relieved. Finally I might get some sleep again. I don’t have to worry about what I eat anymore. I can drink coffee and cola now. But it was fine. I had almost drank up the mocca and the unwellness subsided quickly afterwards and I drank a little water. Problem fixed. As for pain, I didn’t have much of it. When I came out of the operating room I felt a lot of pain, and they dozed me up pretty good until they didn’t want to give me any more before some time had passed. Even then the pain was worth it, I was so happy. The pain after the operation was a lot less than the gallstone attacks. Afterwards I was happy and drugged, and I was in good shape. I got home, and was still in good shape. I got a lot of painkillers to take with me home. Now on the day after the operation, I don’t need the pain killers. I feel that something has been done on my stomach and I don’t have the same movement as before. I’m tired and want to stay in bed, but I’m fine. Whenever I eat I get stomach pains and have to run to the toilet many times. It takes time for the stomach to stomach the new situation, I guess. I’m so happy that this is finally over. It’s over. I can’t express how much that matters to me. I can’t believe I waited so long before I had it done (2 years). I’m not going to be that stupid again. I have another gallstone attack. They come about every second day now. 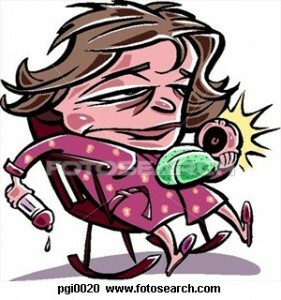 Anybody will say that you get little sleep when having a baby. 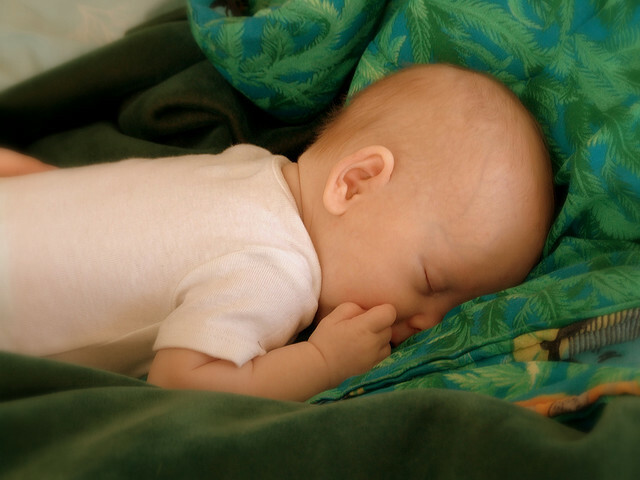 Try having a baby, gallstone attacks every second day and on top of that – sleep issues. Sometimes I wonder how little sleep is required before hallucinations come. I like the painkillers I get for the gallstone a little too much now. When I take them, it takes about an hour before the effect fully sets in, but then suddenly my loss of sleep that night is the plan of the universe and everything is just as it’s supposed to be. I like being drugged and not feeling any pain. Or hunger. Just five nights left until the operation. Then I can drink coffee again. And cola. I wonder if that was the plan of the universe? This week I had a breakthrough! I have been able to go out with Simon to different appointments, and it have worked out fine. I’m able to get out and do stuff ! I have now come to the level where I’m able to take good care of Simon AND myself to the point where I’m very happy now. I have met other mothers with babies and get to socialize, and that has felt really good. It also showed me that Simon is still crying more and are more grumpy than other babies (mine is always the one who cries while the others are quiet), but it’s within manageable levels where I can take care of myself at the same time. I’m happy again! The first two months I was miserable, then for a couple of weeks I was in equlibrium and now I’m back to being happy when Simon is 10 weeks old. Joyously happy 🙂 It has become so much easier to enjoy this time with Simon, and I’m beginning to understand now what it means to enjoy the time when they are infants. He is the most beautiful baby I have ever seen (of course) and when he smiles and make those little laughing sounds, it really smelts the heart. 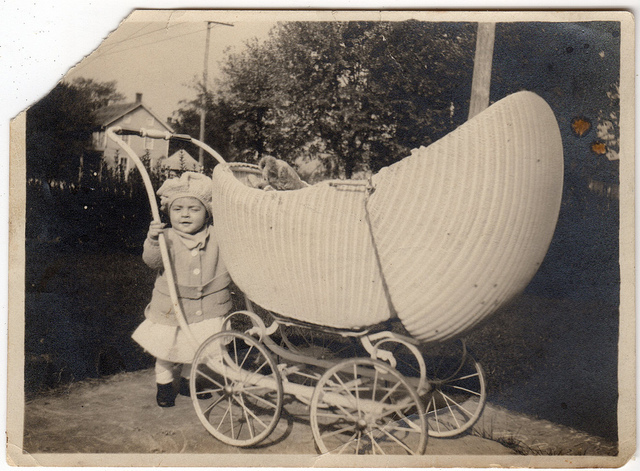 I have become one of the baby carriage mafia now. So watch out – Helene and Simon is in da town. Today is a good day. I got four hours of consecutive sleep, apparently I can function on four hours. When I only get between 2 – 3 hours of consecutive sleep I usually function badly for the rest of the day. It’s like the brain just goes to halt. I would like to say sleep instead of halt, but sadly when I get too little sleep my brain is wide awake, there’s just no activity up there. That’s when Dr. Phil suddenly becomes a treat to watch and I get disappointed when I’ve seen the episode before. I can just forget about reading a book. I stare at the letters, but they don’t register. To move the eyes becomes a tiresome exercise. If I manage to get Simon to sleep, I’m completely unable to go to sleep myself. It’s frustrating, but I don’t know what I can do about it. I used to think that I could sleep when the baby slept, but I don’t work that way. I don’t have a sleep function that I can activate when (badly) needed. But today is a good day. I got up and after feeding Simon I even got to shower – unsupervised by the little terrorist himself. Afterwards I ate breakfast, and the clock wasn’t even 10am. Breakfast time has usually been from 12pm to 2pm, but not today. What used to be natural activities I didn’t think about is now luxury. But not today.